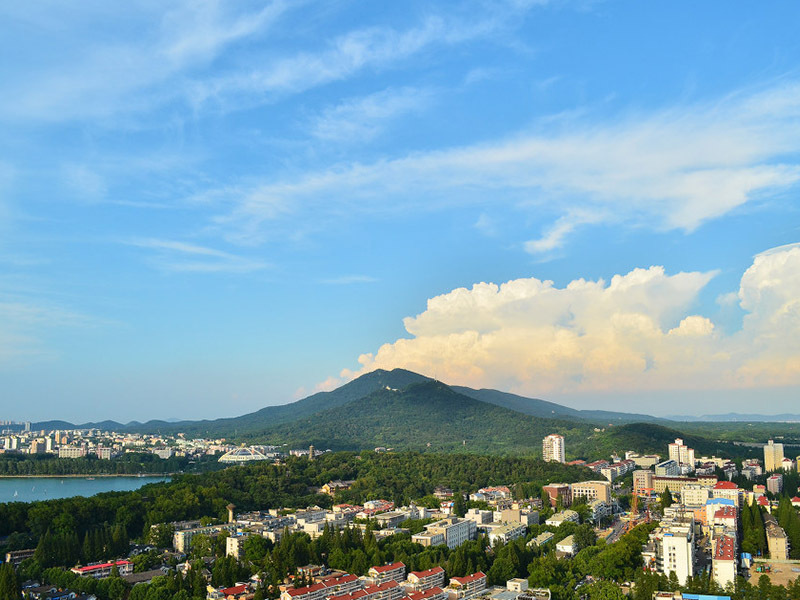 The mountain is called Zijin Mountain or Purple Mountain or Zhong Mountain. The whole mountain area covers an area of 3100 hectares with the highest peak of 448 meters above sea level. It is a green oasis of hills, trees, forests and hiking and cycling paths with many scattered temples, relics and mausoleums. It does need at least a whole day visit. At the top of the western slope is the Purple Mountain Observatory, a cluster of domed telescopes and modern research facilities that also houses a fine collection of ancient astronomical instruments. South of the observatory is the Botanical Garden, a beautiful space containing more than three thousand species of medicinal and decorative plants, and a fine statue of Li Shizhen, the father of Chinese botany and traditional medicine. Farther east, on one side of the central ridge is the Xiaoling tomb of the first Ming emperor, with its Sacred Avenue, its pavilions and courtyards, and the immense, as-yet unexcavated burial mound where the emperor's body is believed to lie. Still farther east, at the center of the mountain stands what has become a site of pilgrimage for many local and overseas Chinese: the Sun Yat-Sen Mausoleum. A vast stone stairway leads up to his crypt and his coffin. As the high ground closest to the city, Purple Mountain has served alternately in the strategic interests of those who wished to defend the city, and of those who wished to attack it. A burial site here has long been the highest honor the city has to offer to those whose personal history has intersected with its own.